I think he looks just like Ed Harris, particularly in the photo on the bottom right. In the IMDB trivia section, it states “According to New York Dramatic Mirror (4 December 1915): Seay – “the only original owner of the name that is spelled with the ‘y’ and pronounced without it[. ]”” I cannot find the article to confirm this, but it very well could be accurate. Mr. Seay was a seasoned stage actor before breaking onto the film screen. He also directed and wrote screenplays. 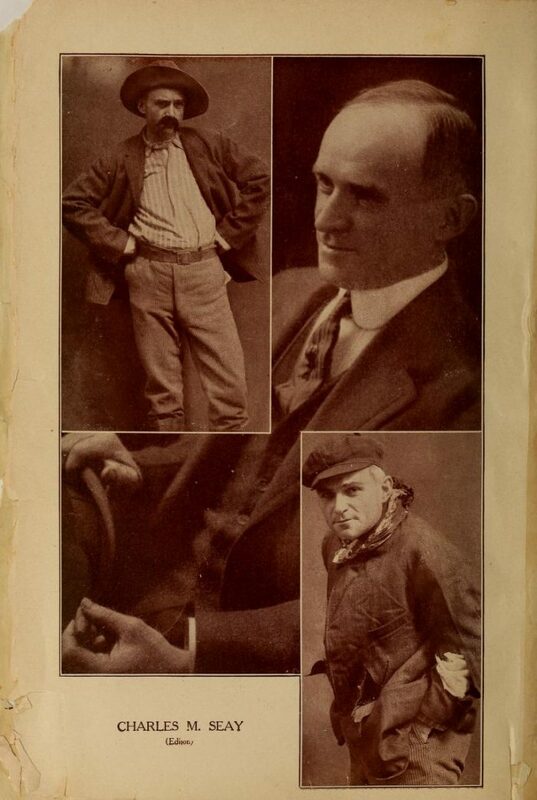 This chat was published in the February 1912 edition of Motion Picture Story Magazine. After having haunted the front hedge of his cottage in the Bronx for several hours, I was informed by a suspicious neighbor that Mr. Seay spent a good bit of his spare time in the Zoological Gardens, not as an inmate, of course. Here I did succeed in finding him, and we walked back together to have our chat in his cheerful living-room. “So you enjoy the Gardens?” I asked, as an opening question. “Speaking of leisure, do you have much?” I asked. “Which play do you think you have done your best work in?” I ventured. Mr. Seay is very fond of reading, his favorite authors being Maspero, Scott and Huxley. He also is fond of social life, enjoys dancing, the theater and music, but he does not enthuse over politics or baseball. He offered to walk part way home with me, and his long, active legs set me such a pace that further delving was impossible. I had good opportunity to study his face, however, and found it a fine type of unmixed American. A high, full forehead, faintly humorous mouth, pointed nose, and deep-set, observing eyes were features to be trusted in friendship and, maybe, feared in enmity or ridicule.